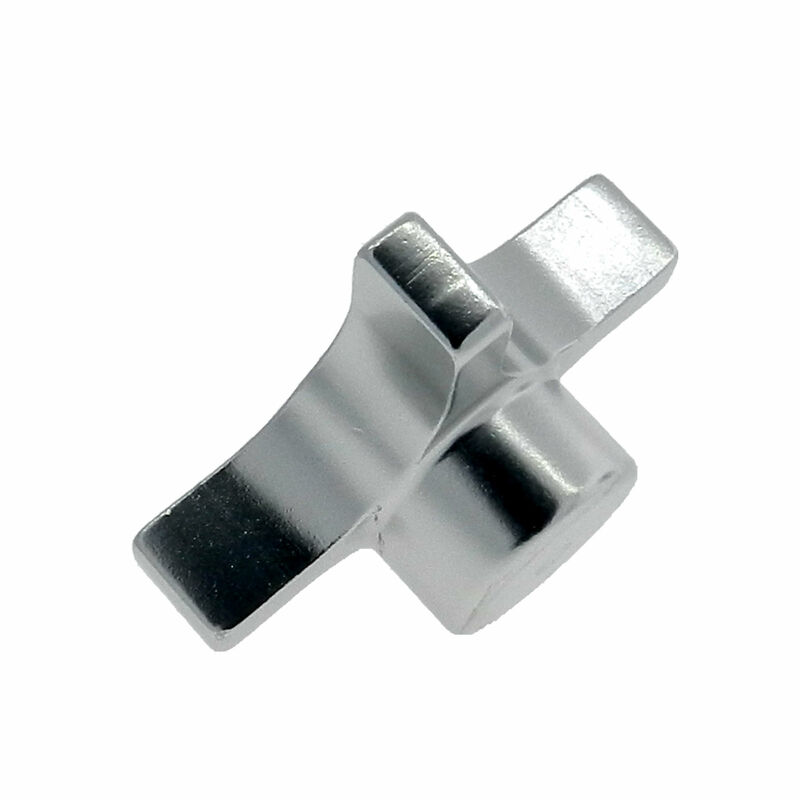 Request a quote for Aluminum Hand Knob - Tapped 4 Lobe today. 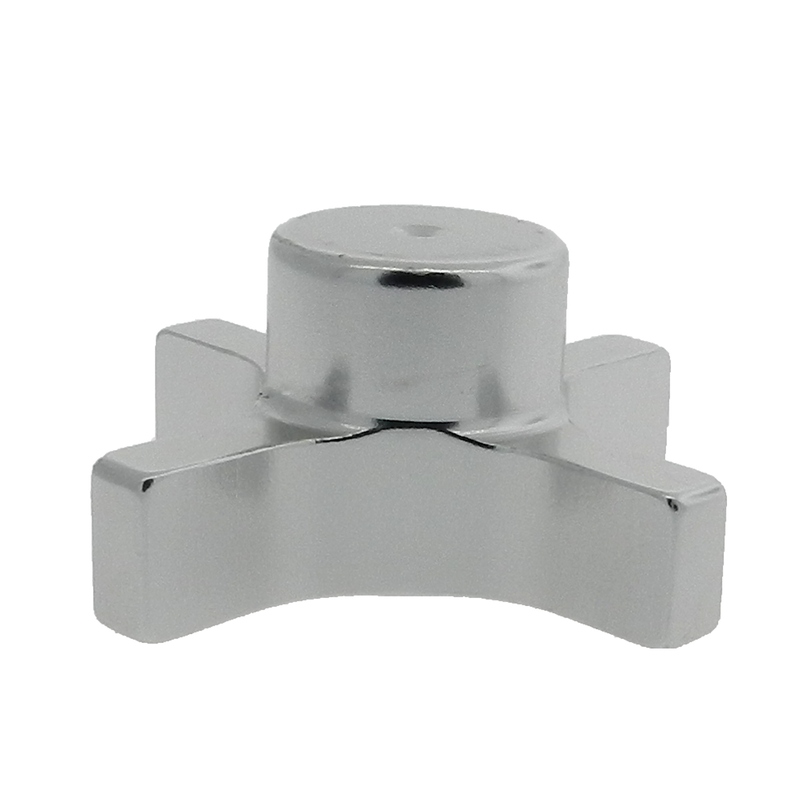 This 4 lobbed aluminum hand knob is manufactured from the highest quality aluminum, and is designed to meet the requirements of even the most demanding industrial applications. The 4 lobe design of this hand knob (also known as a clamping knob) ensures positive palm and finger grip, each and every time. 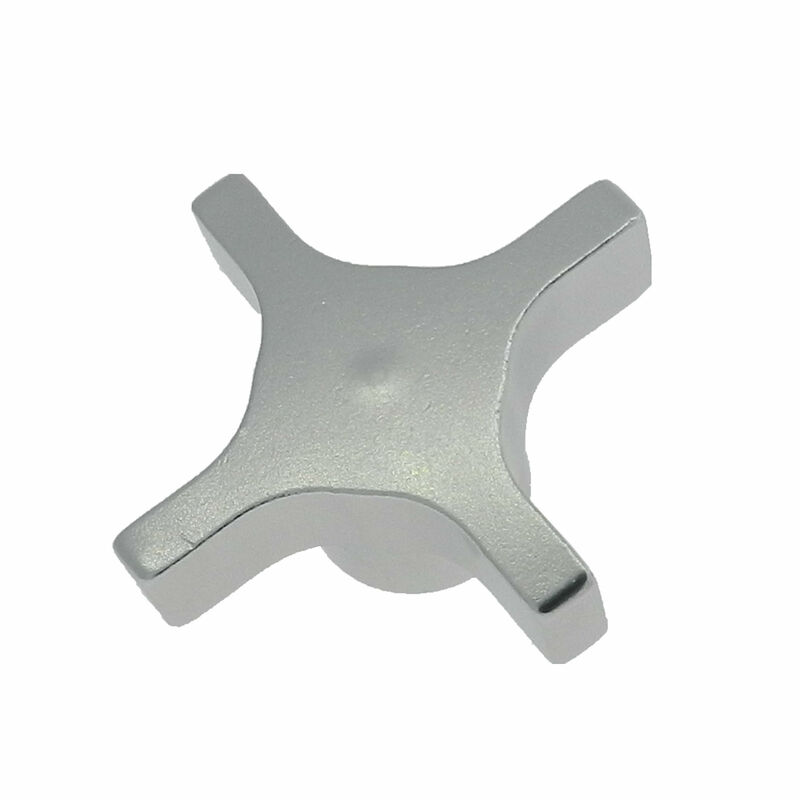 Available in a clear anodized finish, and features a blank hub with centering spot. Contact one of our sales engineers concerning specialty bores, taps and set screws. Inch and metric versions available. Please see component diagram below. 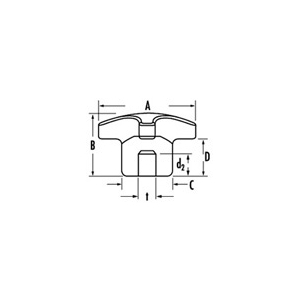 1HKA-1010 - Solid 1" 7/8" 1/2" 1/2"
1HKA-1011 1/4-20 Tapped - 1" 7/8" 1/2" 1/2"
1HKA-1012 1/4-20 Tapped Through - 1" 7/8" 1/2" 1/2"
1HKA-1013 - 1/4" 1" 7/8" 1/2" 1/2"
2HKA-1014 - Solid 1 1/2" 7/8" 5/8" 3/8"
2HKA-1015 5/16-18 Tapped - 1 1/2" 7/8" 5/8" 3/8"
2HKA-1016 5/16-18 Tapped Through - 1 1/2" 7/8" 5/8" 3/8"
2HKA-1017 - 5/16" 1 1/2" 7/8" 5/8" 3/8"
3HKA-1018 - Solid 2" 1" 13/16" 1/2"
3HKA-1019 3/8-16 Tapped - 2" 1" 13/16" 1/2"
3HKA-1020 3/8-16 Tapped Through - 2" 1" 13/16" 1/2"
3HKA-1021 - 3/8" 2" 1" 13/16" 1/2"
4HKA-1022 - Solid 2 1/2" 1 1/8" 1" 9/16"
4HKA-1023 1/2-13 Tapped - 2 1/2" 1 1/8" 1" 9/16"
4HKA-1024 1/2-13 Tapped Through - 2 1/2" 1 1/8" 1" 9/16"
4HKA-1025 - 1/2" 2 1/2" 1 1/8" 1" 9/16"
5HKA-1026 - Solid 3" 1 1/4" 1 1/4" 5/8"
5HKA-1027 5/8-11 Tapped - 3" 1 1/4" 1 1/4" 5/8"
5HKA-1028 5/8-11 Tapped Through - 3" 1 1/4" 1 1/4" 5/8"
5HKA-1029 5/8" 3" 1 1/4" 1 1/4" 5/8"